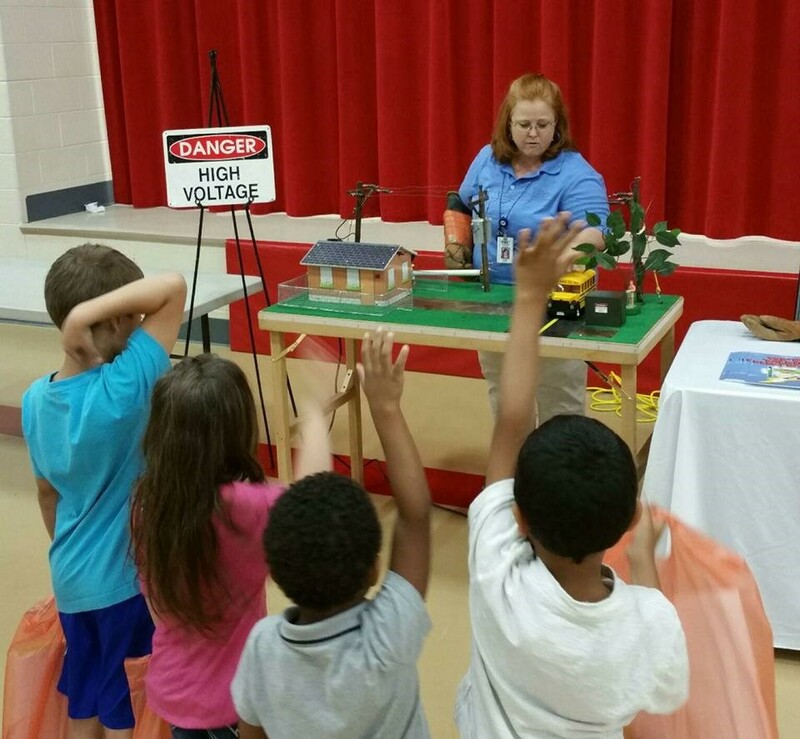 Julie Jones teaches safety to students during a health fair at Park View Elementary in Cleveland,TN. Safety Superintendent Ty Ratcliff teaches middle school students some of the safety difficulties linemen face. 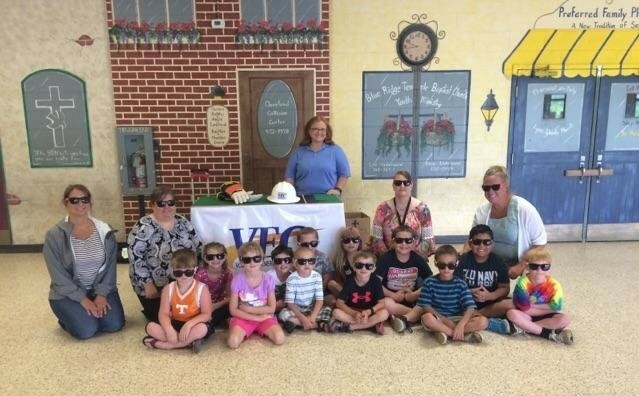 Students attending the Benton Summer School program for Elementary Aged children enjoyed their sunglasses and the safety demonstration. 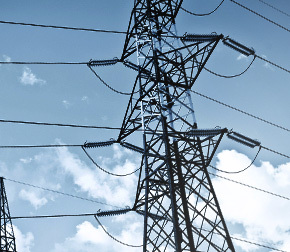 Electricity has helped bring prosperity and convenience to the Tennessee Valley and Volunteer Energy Cooperative (VEC) is proud to be a part of that. But electricity is also a power source that demands respect. 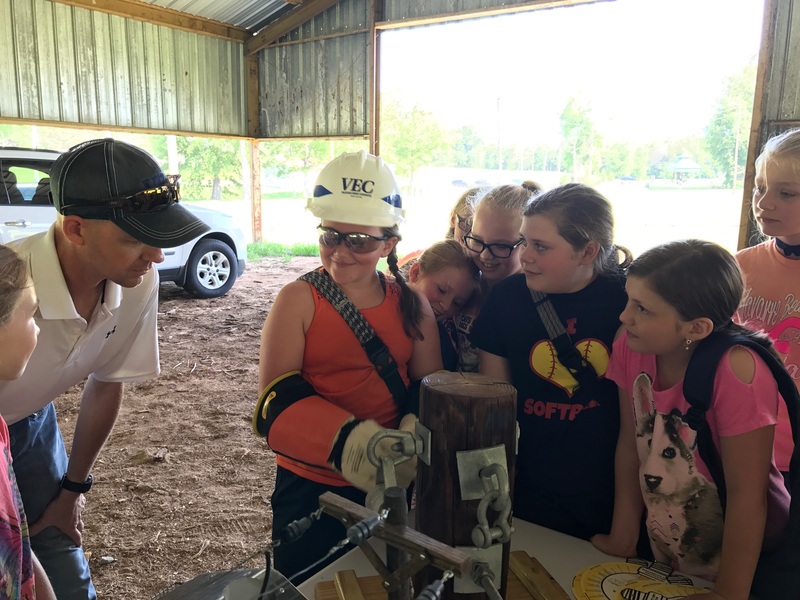 VEC offers free electricity safety demonstrations to teach groups of all ages how we can enjoy the benefits of electricity while avoiding some of the most common dangers. Presentations can be tailored to any age group and to fit almost any time requirements.